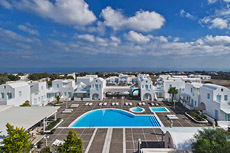 El Greco Resort Hotel in Santorini combines simplicity with beauty to create a truly unforgettable experience. The resort is located minutes away from the center of Fira, 7 km from Monolithos beach, 12 km from Kamari beach and 14 km from Perissa beach. There are a total of 150 rooms on the premises. Each room is fitted with air-conditioning, mini fridge, direct dial telephone, satellite TV, safety deposit box, hairdryer and balcony. El Greco Resort Hotel offers multiple onsite dining options to appease any appetite. 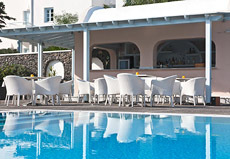 The main restaurant is La Pergola Restaurant which offers breakfast, lunch and dinner. A variety of dishes inspired from Santorinian, Greek and International cuisine are prepared with fresh local ingredients. The Greco Café is a friendly coffeehouse that serves traditional Greek Coffee alongside international delights. 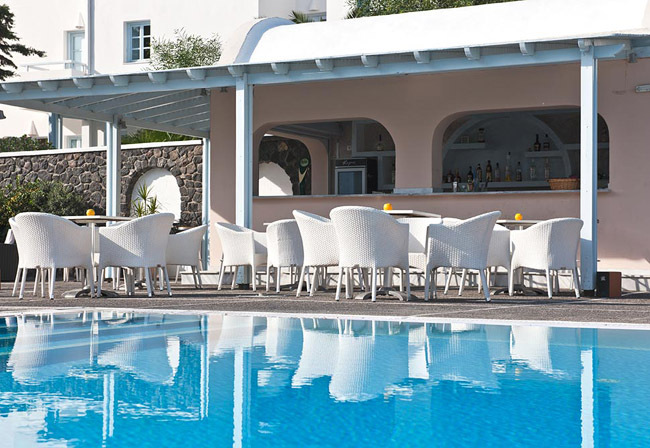 Aiolos Pool Bar is ideal for fresh juices, light snacks and alcoholic beverages. A wide range of facilities and services are available at El Greco Resort Hotel. There are several outdoor swimming pools as well as two Jacuzzis. The Fitness Center has been designed to help you relax and take care of your body. This facility boasts a Sauna as well as state-of-the-art equipment for exercising. 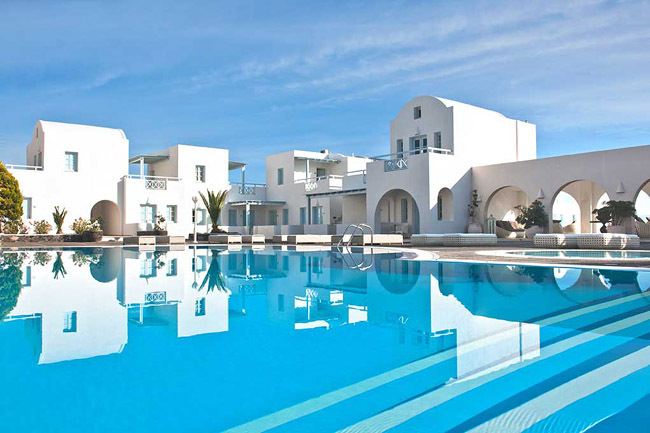 The new Lotus Spa is the ideal location for both physical and mental rejuvenation in Santorini. The spa boasts and indoor heated swimming pool and private massage room. A wide range of therapies and treatments are available.